HEADS FOR AN ALL TIME HIGH. GIANT NUCLEAR ARSENALS FOR THE FIRST TIME. When the Cold War ended in 1991, many people around the world breathed a collective sigh of relief. 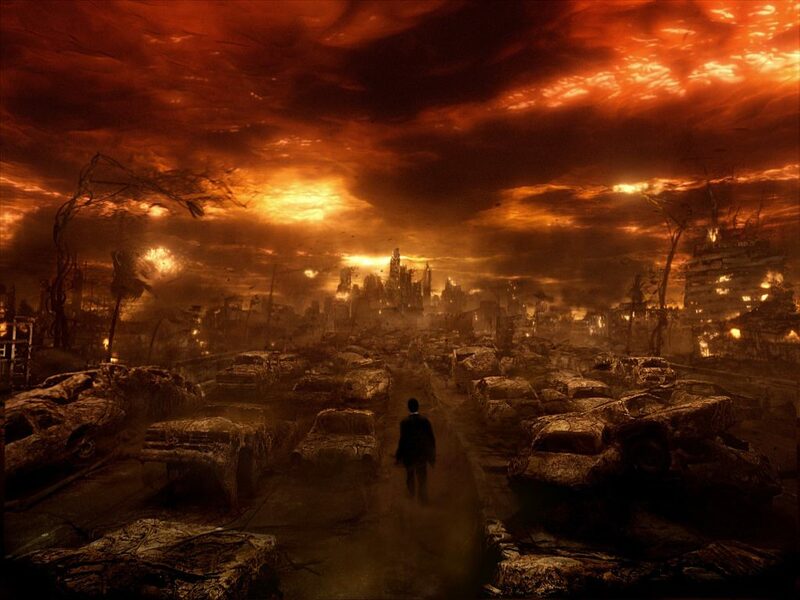 It seemed that the possibility of nuclear annihilation had been averted. Today, the threat is growing again and may be even more dangerous. Obama has started a dangerous new Cold War with Russia. Meanwhile there has been a true geopolitical revolution of the first order in world nuclear arms. 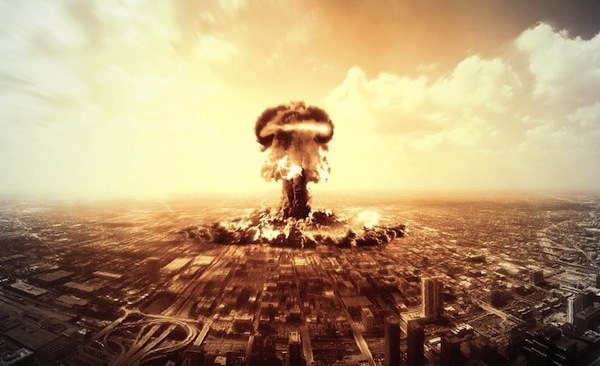 China and India now for the first time have major nuclear arms programs that could wipe out whole sections of the US. Particularly troubling is the rise of their nuclear missile submarines which could strike all parts of America with as little as 10 minutes attack time. THAT COULD DEVASTATE THE US WITHIN 10 MINUTES OF ATTACK TIME. As Russia's former minister of foreign affairs Ivanov stated, "In the Cold War, we created mechanisms of security. A huge number of treaties and documents helped us to avoid a big and serious military crash. Now the threat of a war is higher than during the Cold War." Trust is the most important mechanism in preventing a catastrophe. A two minute phone call between two heads of state could be the difference between the life and death of hundreds of millions of people. Meanwhile, the Doomsday Clock, (an international device created to measure the possibility of a worldwide disaster) is now three minutes to midnight - which means it's at its worst point in 30 years, since the height of Cold War era, nuclear tensions. When visiting a U.S. Air Force nuclear silo, you would probably expect to encounter the best of the best technology keeping our weapons secure. One thing you probably wouldn't expect, however, is eight inch floppy disks. When Leslie Stahl of CBS's 60 Minutes reported from a Wyoming nuclear control center, she found that the facilities developed in the Cold War era were still operating off of technology developed in the 1960's. Now the missiles themselves have been updated numerous times to make them safer and more reliable. But these bases have not changed much since the Nixon administration. Leslie Stahl even reported missileers struggling with the analog phones at the facilities. The connection on these phones is reported to be bad - so bad in fact that the missileers reported struggling to hear people on the other end of the line, or had trouble dialing out. Now, if the President were to call one of these facilities with launch orders, it would thankfully not be over an analog phone. Yet it cannot be underscored that clear communication is key when dealing with weapons of mass destruction. Some have argued that the old technology offers security against the threat of cyber warfare. In the 60 Minutes interview, Maj. Gen. Jack Weinstein stated, "Those older systems provide us some, I will say, huge safety, when it comes to some cyber issues that we currently have in the world." Given that this technology is not hooked in to the internet, that does add a layer of protection and insulation from cyber threats. However, much of this technology is 50 years old. 50 years is ancient history as far as any technology is concerned. So when the technology is this old, it starts raising serious questions about the safety and reliability of the technology. In addition to technology concerns, there is also a serious morale problem among those serving in the nuclear forces of the military. Now during the Cold War, the nuclear forces had a certain level of prestige in the American military. But when the Cold War ended, this changed. The net result is that the motivated and talented officers seeking advancement in their careers do not want to go into the nuclear forces. So, some have argued, this has led to the less capable, and less motivated occupying the ranks of the nuclear forces. In 2014, there was even a scandal where the entire Air Force chain of command of a missile base responsible for one-third of our land-based missiles, was removed because of involvement with drugs, and for cheating on an exam. Another threat is the very real chance of a major nuclear accident. In fact, there actually have been a number of harrowing close calls on American soil: fires, plane crashes, fuel explosions, and even a bomb that was dropped on North Carolina by accident. The seriousness of these incidents may not have been disclosed at the times they happened. But today there are plenty of witness accounts and declassified government documents that show how close we have come to disaster. In Eric Schlosser's book 'Command and Control,' he discusses his findings after spending six years investigating a number of mishaps that occurred during the Cold War. In one incident, someone dropped a socket in a silo, and the socket dropped for about 70 feet. It pierced the missile, caused a fuel leak and then there was a huge explosion. Luckily there was no detonation, because of the safety mechanisms that were put into place - but it was still a hair-raising incident nevertheless. One of Schlosser's even more disturbing tales is that of a B-52 that experienced mechanical problems and dropped a nuclear bomb over Goldsboro, N.C in 1961. When it hit the ground, the firing signal was sent. But a single safety switch prevented a full-scale detonation of a powerful hydrogen bomb in North Carolina. According to Eric Schlosser, the weapons themselves have been upgraded, and have more safety mechanisms put in place now than they did 30 years ago. But the problem is with the facilities maintaining these weapons (as mentioned earlier). In Stahl's 60 Minutes report, Major General Jack Weistein discusses several instances of facilities in dire need of repair; he talks about how one of the doors protecting a capsule in an underground control center was broken. The solution? It was propped open with a crowbar and marked with a danger tag. He states that many things in the capsules and facilities housing these missiles are not even being manufactured anymore, which makes them difficult to replace or repair. Then he mentions another silo where a missile was pulled from the facility because water had seeped in. There are also some major nuclear mishaps that have happened quite recently. In 2007, six nuclear-tipped cruise missiles were loaded onto a B-52 by mistake, flown across the country, and left unguarded on the tarmac. No one noticed this for 36 hours. That led then-Defense Secretary Robert Gates to ask the Air Force secretary and chief of staff to resign. In 2010, because of a technical glitch, a missile squadron at one of Wyoming's base's stopped receiving electronic messages from the missiles it was charged with monitoring. This is also not to mention a particularly scary accident that almost put Russia and the U.S. on the path to nuclear war. In 1995, Norwegian and American researchers fired a rocket into the skies of northwestern Norway to study the northern lights. However, the four stage rocket flew directly through the same corridor that American Minutemen III missiles, equipped with nuclear warheads, would use to travel from the United States to Moscow. The Russian military was placed on high alert, and then President Boris Yeltsin activated the keys to launch nuclear weapons. He had less than 10 minutes to decide whether to issue the order to fire. President Yeltsin ended up leaving the Russian missiles in their silos that day, because relations between Russia and the United States were relatively trusting in 1995. But U.S arms expert Theodore Postol warned recently if a similar incident were to occur today, the results would be nuclear war. What is even more horrifying about a nuclear incident is the fact that it can all happen very quickly. The time between launching and then exploding a land-based nuclear missile is only 30 minutes and even less for one on a submarine. Now, if the Russian or American government believed that they were under attack, a decision would have to be reached within a matter of minutes. This could take 10-15 minutes - maybe even less. In the case of actually launching a rocket, that would take 40-60 seconds, more or less. The rocket would then ignite, it would fly out of its silo, or its launch hall in a submarine, it would typically undergo powered flight for about maybe 150 - 300 seconds. The warheads would then float in the near vacuum of space under the influence of gravity and momentum, and in about 20-28 minutes would arrive at their targets, re-enter the atmosphere and explode. 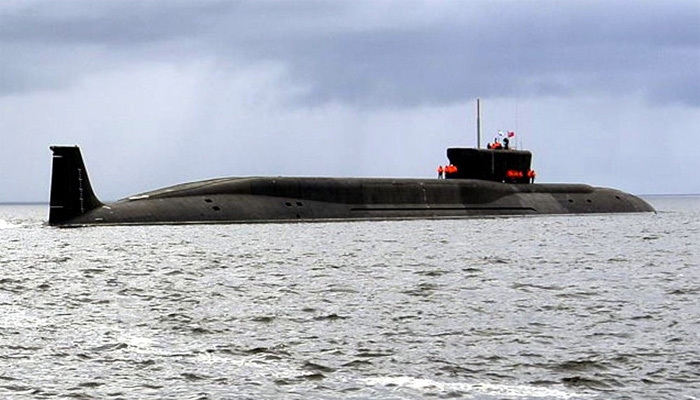 In 2016, India developed its first nuclear submarine, INS Arihant. Currently India is also building a top-secret nuclear city to produce thermonuclear weapons. This could unsettle Pakistan and China. A lengthy investigation by the Center for Public Integrity (CPI), including interviews with local residents, senior and retired Indian scientists and military officers connected to the nuclear program, and foreign experts and intelligence analysts, has uncovered some of the secrecy surrounding the new facility, parts of which are scheduled to open in 2016. This new facility will give India the ability to make many large-yield nuclear arms - that most experts say it presently lacks. India, according to former Australian nonproliferation chief John Carlson, is one of three countries that continue to produce fissile materials for nuclear weapons. The others are Pakistan and North Korea. (Foreign Policy, 12-16-15). Even though India only has one nuclear submarine, a second is already in construction, with at least two more scheduled to be built. 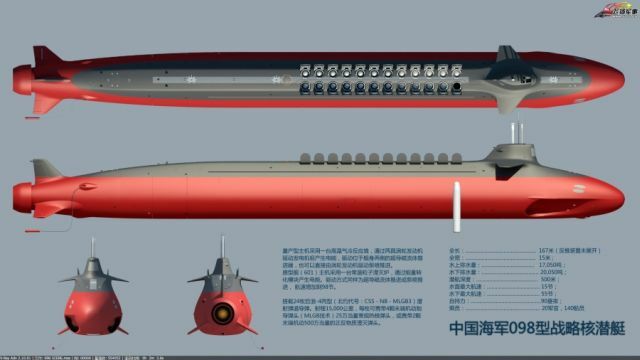 Each would be loaded with up to 12 nuclear-tipped missiles. The officer, who was not authorized to be named, said the fleet’s expansion gained a new sense of urgency after Chinese submarines sailed across the Bay of Bengal to Sri Lanka in September and October 2014, docking in a port facility in Colombo that had been built by Chinese engineers. A retired official who served inside the nuclear cell at the Indian prime minister’s office, the top organization that supervises the military nuclear program, stated that other uses besides submarines had been anticipated “for many years.” He pointed to a “thermonuclear bomb program” as “a beneficiary” and suggested India had no choice but to “develop a new generation of more powerful megaton weapons” if it was to maintain “credible minimum deterrence.” Previously this meant a bare minimum to prevent an attack on India, but a new Indian doctrine in 2003 — in response to Pakistan’s increasingly aggressive nuclear posture altered this notion: “Nuclear retaliation to a first strike will be massive and designed to inflict unacceptable damage.” China, the retired official said, “has long had a thermonuclear capability, and if India is to have a strategic defense worth its salt, and become a credible power in the region, we need to develop a similar weapon and in deployable numbers.” U.S. and British officials have confirmed that they have been aware of this discussion among Indian scientists and soldiers for years. (Foreign Policy, 12-16-15). 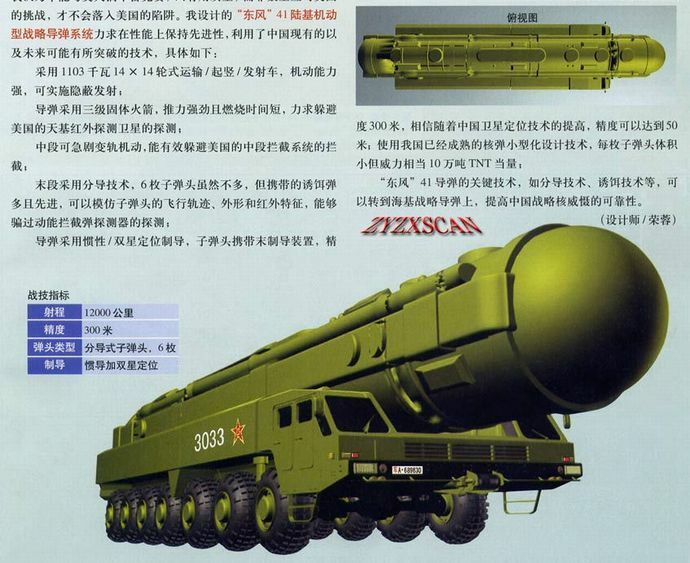 CHINA IS INVOLVED IN A MASSIVE NUCLEAR ARMS BUILDUP. 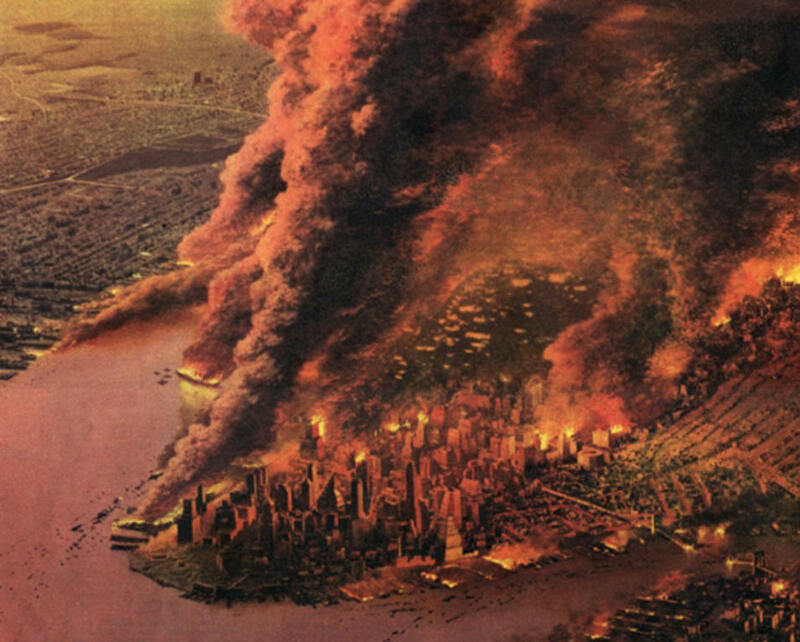 FOR THE FIRST TIME IT WILL BE ABLE TO DEVASTATE THE US MAINLAND. WHAT ARE THE REAL THREATS TO AMERICA? WHAT ARE OUR REAL PRIORITIES? Given the information we have listed above, the threshold for a nuclear apocalypse is much lower than one would think and hope. This is not theory. This is very possible. Nuclear war is an endgame with no winner. Everyone loses. Obviously neither Russia, America, nor most other countries wish to engage in such an activity. And yet, with heated relations between America and Russia ramping up to a 20 year high, the possibility of a full fledged nuclear war becomes increasingly likely. There are also the troubling tensions between India and Pakistan, along with the increasing power of China's own nuclear capabilities. And even if an international incident doesn't occur, the current state of America's missile silos is very troubling. So troubling that an accident might just happen on its own. Yet instead of using the funds and resources to deal with this very real threat, America has been spending trillions over the threat of so called 'terrorism' from Islamic extremists. According to the Washington Post, Americans are more likely to die from their own furniture than terrorism. Then there is also all the hysteria that people are raising over the so called threat of assault weapons, even though in 2012, only 322 people on American soil died from any kind of rifle. (The New York Times). Clearly, this is one more reason why Obama's new Cold War must be ended.